Are you counting down the days for MOANA to come out too?! My family is. We actually have two countdowns going…well, sort of. Our countdowns are mashed together. In less than two weeks, my family will be embarking on an adventure to Maui!!! The ocean is calling & we must go! MOANA is an adventurous, tenacious and compassionate 16-year-old who sails out on a daring mission to save her people. Along the way, she discovers the one thing she’s always sought: her own identity. Directed by the renowned filmmaking team of Ron Clements and John Musker (“The Little Mermaid,” “Aladdin,” “The Princess & the Frog”) and featuring newcomer Auli’I Cravalho as the voice of Moana, Walt Disney Animation Studios’ “Moana” sails into U.S. theaters on Nov. 23, 2016. ©2016 Disney. All Rights Reserved. I AM a MERMAID, right?! MOANA is hitting theaters everywhere November 23rd! (That’s when we go!) With the release of Moana, we know the Moana/Disney vibe will just add to the aloha spirit; we can’t wait! Since I have already previewed Moana, I plan on incorporating some Moana-y stuff on our vacation too. But what to do while we all wait for November 23rd? So whether you have littles off track from school right now or need to keep them entertained while you work on a project, I have just the distraction for all of us to keep busy in the meantime. 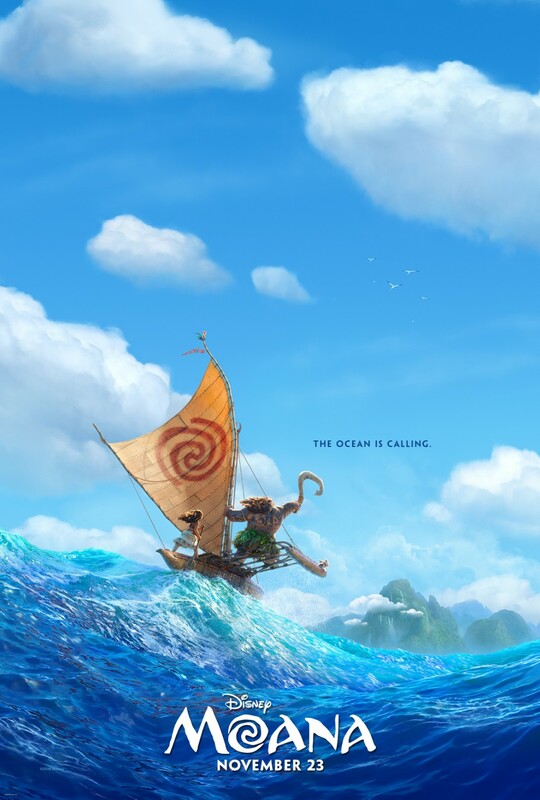 MOANA will sail into theaters everywhere November 23rd! Will we see Paradise Falls? Will we see any special shells in the depths of the ocean? Any bioluminescent organisms?